This post is part of a sponsored campaign for UrbanHello. I received compensation for my participation, but my review and opinions are my own. It is amazing how much your life as a parent revolves around sleep. When you first have kids, you schedule your new routine around your baby’s sleep schedule and your sleeping adapts to that. As time goes on sleeping can get a little more predictable, but sometimes your child needs a little help. According to a National Sleep Foundation study, two-thirds of children under the age of 10 have trouble sleeping. My daughter is one of them. Caroline has always needed a long bedtime routine in order to feel safe and secure enough to fall asleep. Currently, it is a long process that takes about a half hour and she doesn’t even stay asleep. She has been waking up in the middle of the night and coming to my bed to sleep with me. While it is nice sometimes, I know this pattern needs to change. Not getting enough sleep can cause children to be at a higher risk of other problems, including poor growth, lack of attention, difficulties learning and general unhappiness and Caroline is showing a few of these signs. So how can parents help their children to develop good sleeping habits? There are several tricks and devices that parents can utilize. 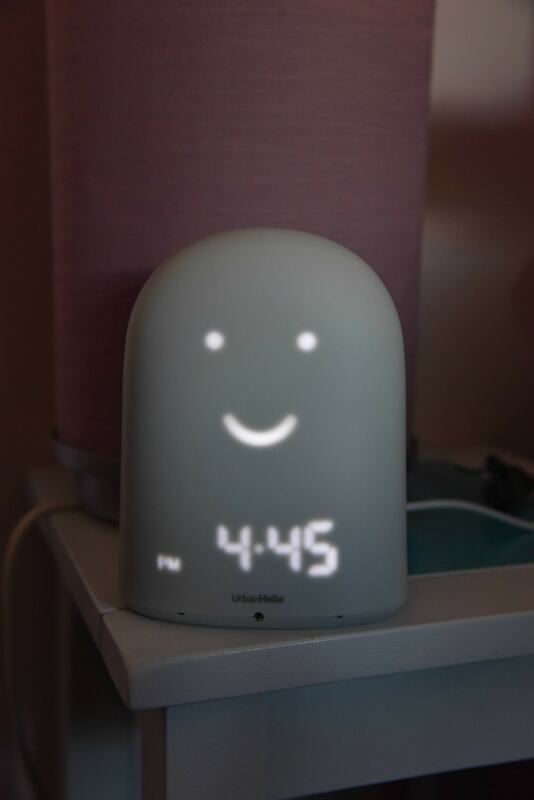 One of them is to use a sleep trainer like the French alarm clock from Urban Hello, REMI. 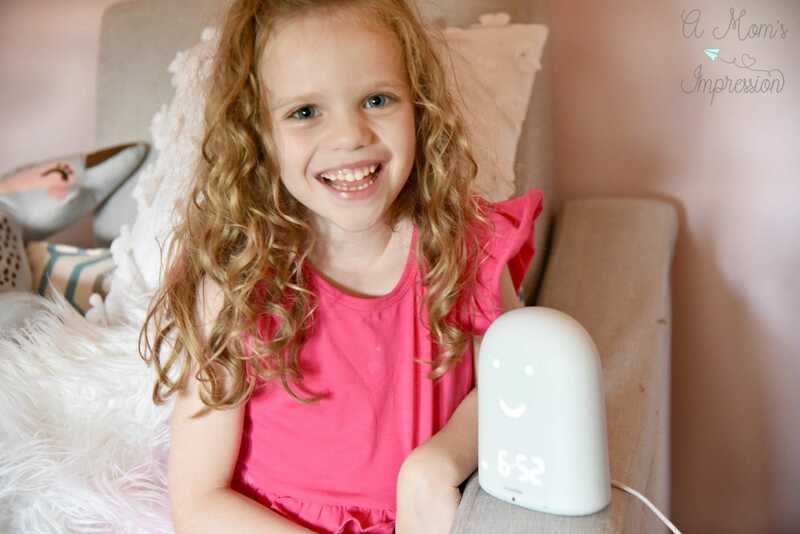 REMI is more than just an alarm clock, it combines 5 products that parents use every day into one adorable little product. 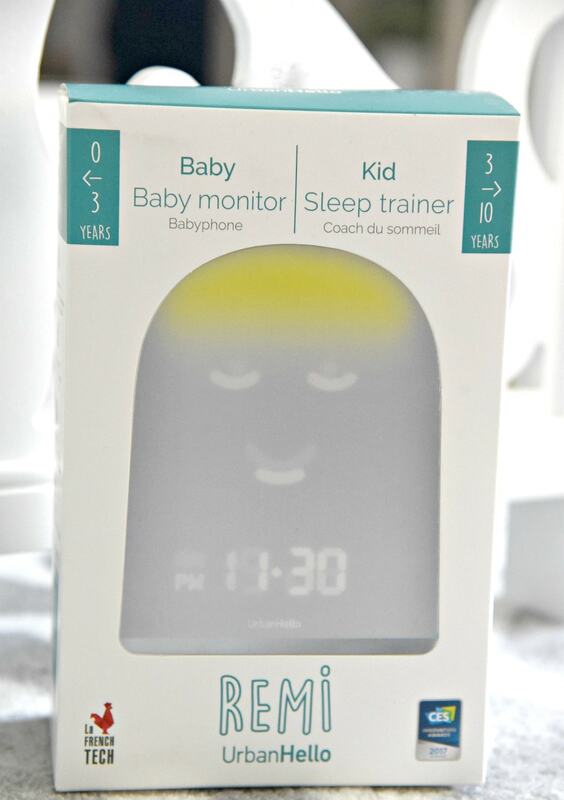 REMI not only reports your child’s sleeping patterns, it is also a baby/room monitor, a speaker, a night light, and an alarm clock. 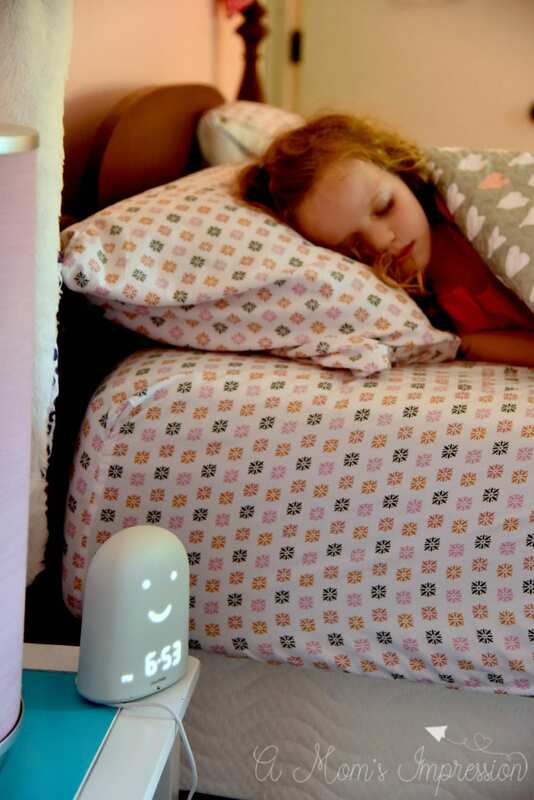 REMI will monitor the temperature in the room and also play your choice of music (you download onto an app) to help your child fall asleep. REMI’s face will change at certain times teaching your child when it is time to wake up in the morning and when it is time to go to be at night. These little ques can help your child learn how long to sleep and when it is time to get up out of bed. We have had some great success with Caroline on the latter. She likes to get mommy up bright and early, but since we started using REMI we set a time that she can come into my room to check on me. When REMI’s eyes open and she is smiling, she can come and wake up mom. We have been monitoring the times Caroline gets up and comes into bed with me to see if we can find any patterns to help her sleep through the night in her own bed. The app has been very helpful for tracking that. I really have enjoyed the speaker function. We allow Caroline a little time on her electronic device before bedtime. We can now tell her through the monitor when it is time to put it away and brush her teeth. This gets her ready for us to come up and read her a book before bedtime. The routine has been good for everyone in the family and bedtimes have gone a lot smoother. You can monitor and track everything with the Urban Hello REMI app that is available for any smartphone or device. 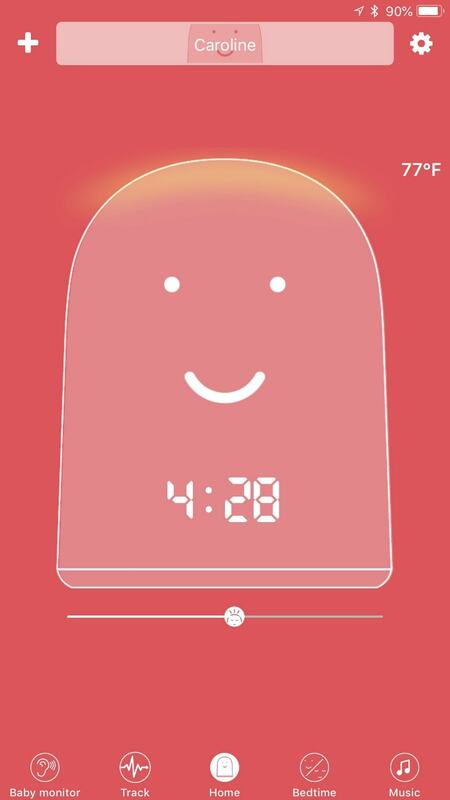 The app is where you will communicate through the speaker, play music and track sleep patterns. It is really easy to use and user-friendly. I like the convenience of using my phone to communicate and I appreciate not having to have another device to keep charged up somewhere. REMI is adorable with a very child-friendly “face” that is both functional as well as decorative. REMI comes in four colors- blue, pink, yellow and our light gray option and is available on Amazon. Do you have any tips or tricks you use for kids who are struggling to fall asleep?